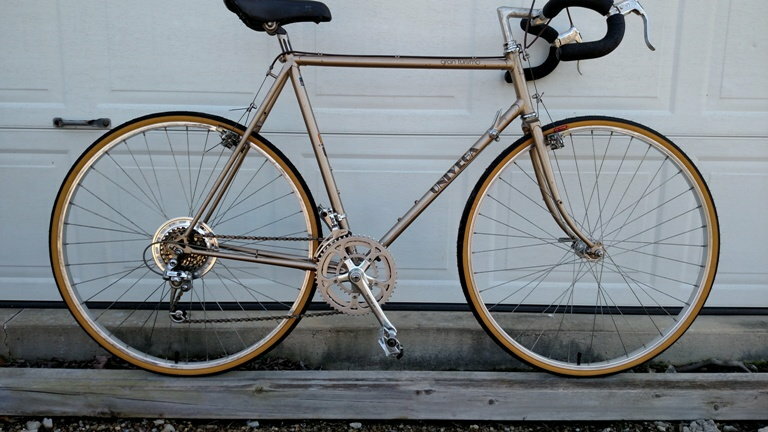 Univega Specialisma Comparable to Miyata 1000? Bikes: Kuwahara Tandem, Centurion Ironman, Rossin, De bernardi, Schwinn Paramount, Giubilato, Gitane TDF, Medici, Scott Solice. Yeah, they were, until sometime in the mid 80s when production was moved out of Japan. They are exactly the same frame made from the same stuff in the same factory, but with different decals. 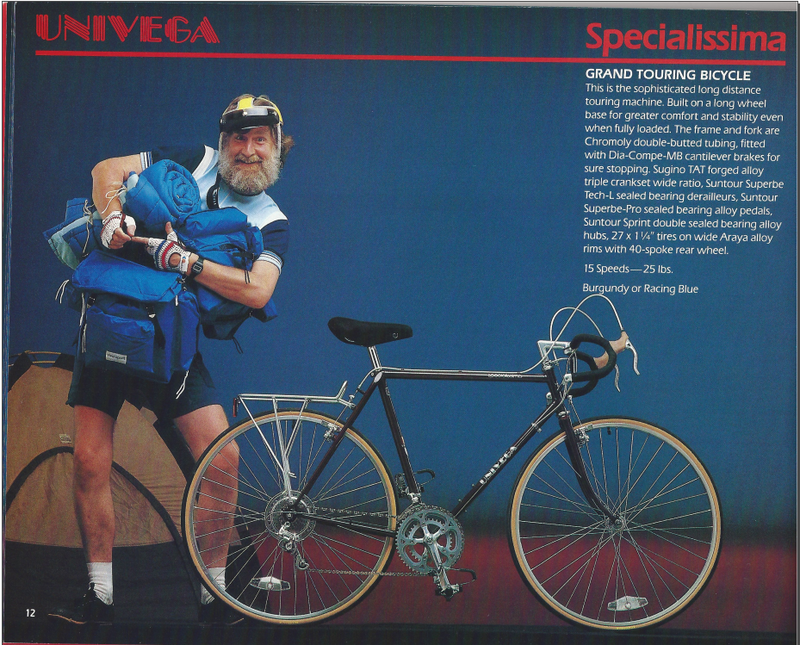 If comparing the complete bikes, the Univegas were spec'd slightly better actually, though the Miyata 1000 came with racks. OK, there was a small aesthetic difference in lug cutout shape: 'M' vs diamonds. And most important of all, the Miyata 1000 was blessed by St Sheldon, and is therefore more valuable. The one in the picture looks like it needs quite a bit of TLC, but it's worth fixing up. From the 1984 catalog, OP's bike looks slightly newer. Pay no attention to the model with the poor leg development they hired, I bet $1000 that he doesn't even ride (he's probably dead by now anyway). I think it is actually a little bit older. Note the first gen cyclone derailleurs. Looks like original suede effect bar tape is still there. Might even be the first year with cantilevers. 82 perhaps? At first I thought 83. Been a while since I dealt with these. 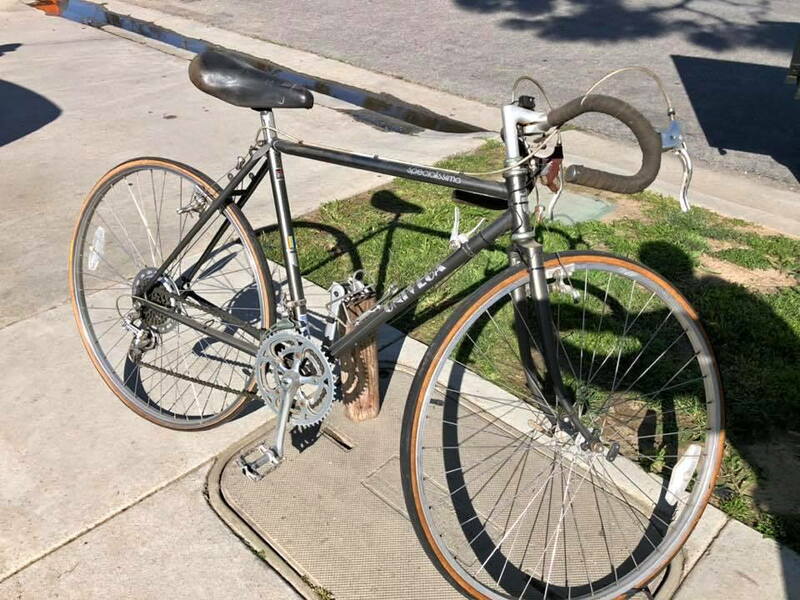 Irregardless, it's definitely a Miyata built bike, which is likely the OP's main concern. i thought it meant the bike was so good u didnt need quads. For same model years, they're pretty much comparable. 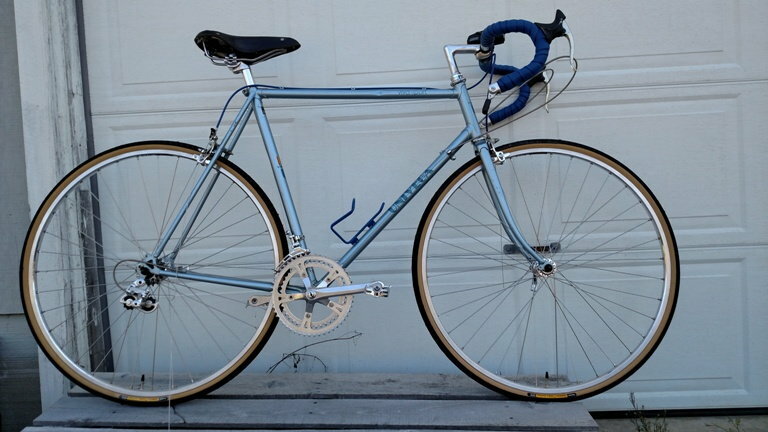 And I agree that the Uni's sometimes were specc'ed a bit better than the Miyata counterparts (re-braze-ons, etc). 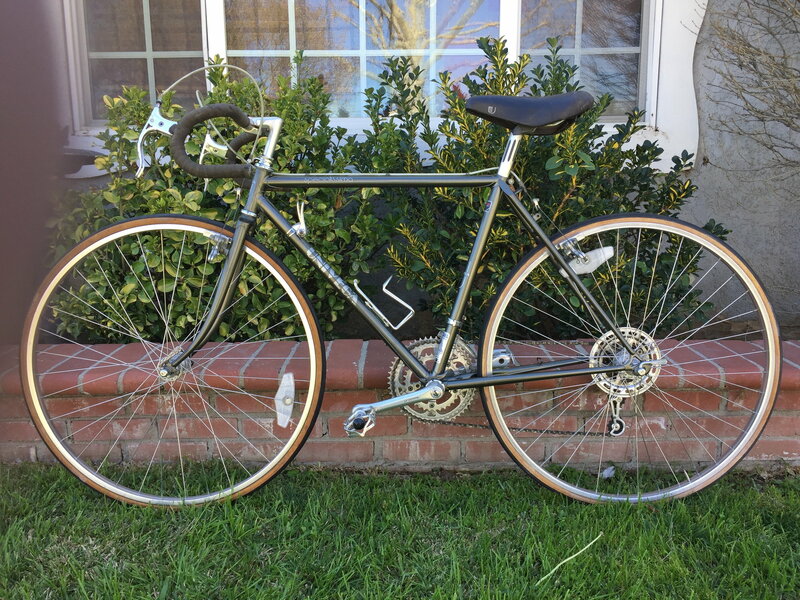 For example, my late-83-build ('84 model year) Univega Gran Tourismo is spec'ed slightly better than the '84 Miyata 610 with regard to bottle braze-on, front fork rack mid-mount braze on. 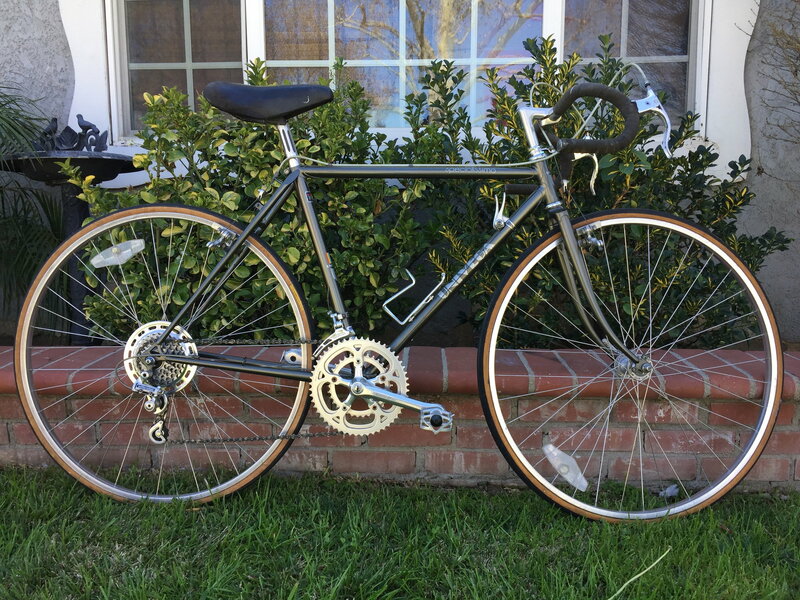 etc) Another example is the '84 Univega Viva Sport - other than wheel size (Uni having 27, and Miyata having 700c) this 'lower-end' Univega is spec'd better than a '84 Miyata 310, and just a minor derailleur change down compared to the mid-level semi-pro '84 Miyata 710. I'm happy with both of my Univegas! Last edited by Cougrrcj; 03-16-19 at 02:48 PM. My 84 Specialissima is identical to the '84 1000, with triple cage mounts, fork rack "pegs", etc. However, the Univegas have more attractive paint schemes, and they came with Suntour vs the Miyata's Shimano (big upgrade, imo). And the diamond cutouts look better than the M.
Last edited by coolkat; 03-16-19 at 01:30 PM. I cleaned her up a bit today. Needs new tires and Gran Comp brake hoods. 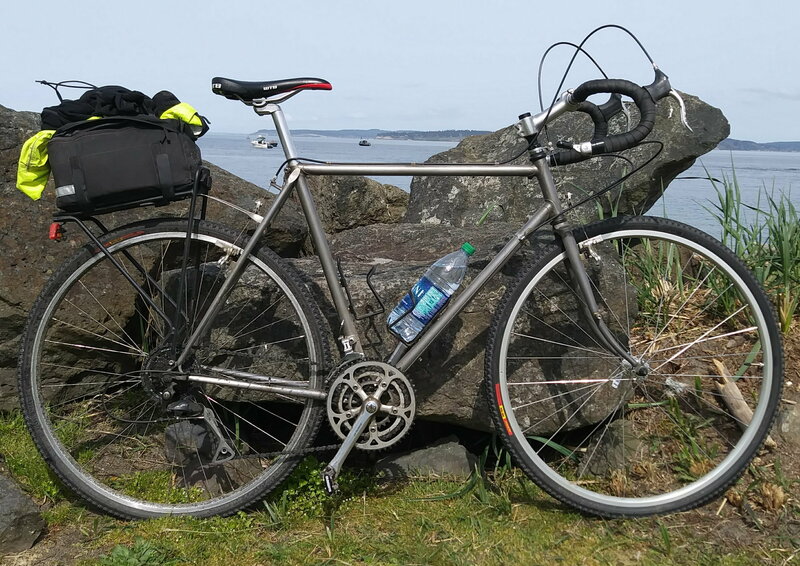 any suggestions on where to find a rear rack? 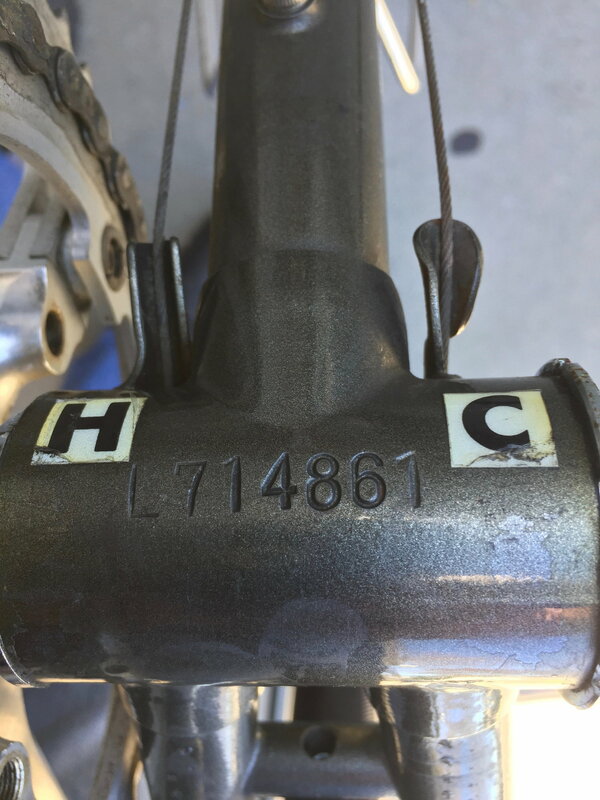 Can anyone tell from the serial number what year the bike is? Yours is a '83 Miyata-built Uni. Yours was built in 1983, so depending on the month of build, it is either '83 or '84.... the component specs will more accurately place your model year. Then again, since Univega's specs were subject to change within a model year... your guess is as good as mine. Last edited by Cougrrcj; 03-16-19 at 07:38 PM. Looks like you own it now. Cool. Velo Orange has Dia Compe hoods if you want the real deal. They are the later Modolo-ish anatomic style. IIRC Gran Compe levers are basically the same as Superbe and you can use campy compatible hoods with them. At that time, the rack would have been Blackburn. There weren't really other choices. Maybe Eclipse. Blackburn still sells the EX1 but in black only now.